The rain had finally transformed to a drizzle, allowing us better visibility through the misty windshield. 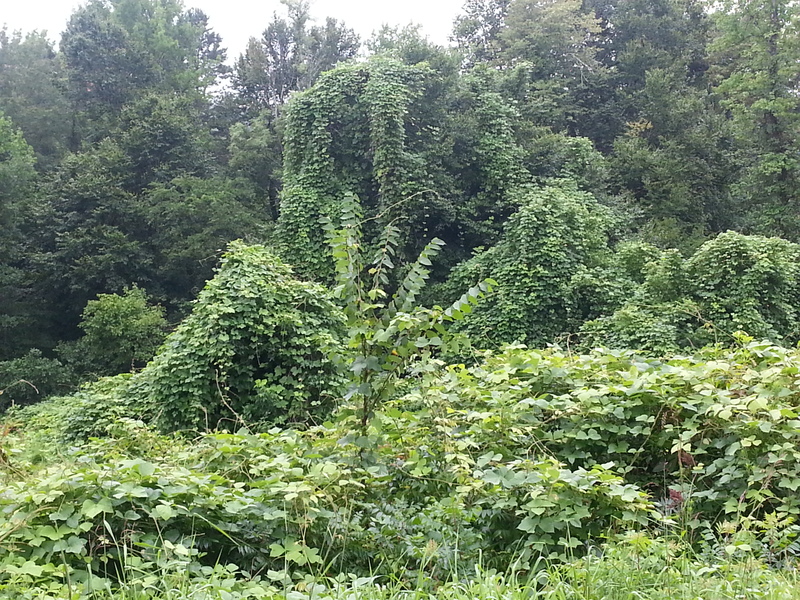 As we twisted and turned through tree trimmed back roads, we instantly realized we felt as if we were coming home again – a sort of renewal of past gone memories. 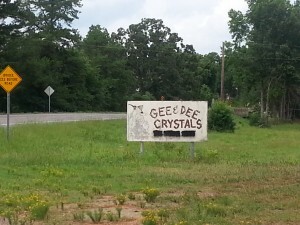 A makeshift sign displaying ‘Dee and Gee’s Crystal Shop’ in crooked penmanship caught our attention, so we decidedly pulled a sudden u-turn to scope out the myriad of tables jam-packed with crystals of every formation you could think of. One dollar, $5, $10, $20, and several unmarked tables littered their yard facing the street in front of the very weathered 1940’s style home. Dee welcomed us with a “Hi ya” in her thick Arkansas accent, helpful and inquisitive on where we came from. I guess it was obvious to her we were not the local sort. Our eyes were like saucers as we stood in amazement reviewing the plethora of crystals of every shape, size, and color imaginable. The rain began to drizzle more heavily as we paced each table in search for the ultimate finds. All we could think about was what goodies we could bring home to our friends, as we already had over 1000 pounds of crystals ourselves, purchased years before. Once upon a time, as we casually strolled through an estate sale, we were literally “prompted” by the sellers and Spirit to buy up their crystals “so they wouldn’t have to load them back into their truck, as it was Sunday night and they were closing down this particular estate sale.” They sold us over a thousand pounds of crystals for $699 and after investigation, we found out later that not only had they probably come from Atlantis, but were extremely important for our future missions. We proudly created quite the collection to take home to our friends! Even when we thought we were finished shopping, more lonely clusters were found hidden on distant tables by the equipment for cleaning these unearthed beauties. I began to heavily regret wearing flip-flops on the puddled ground with chiggers busily chomping away at my feet and ankles. I decided that tennis shoes and socks were a must if I were to ever stand around her tables when we returned here again. It was okay since I was ready to get going. We were anxious to get a hotel and unload the car for dinner. The dogs were getting anxious as well, for it had been a long travel day as usual. We reached Mt Ida around 4:30, and upon seeing the real estate company across from the hotel, we thought we had better grab some brochures before they closed at 5:00 p.m. We had also been given specific suggestions to hook-up with a friend down the street named Julie who was a mutual friend of our friends. She owned a well-established crystal shop and mine, but something told me we had better check in with her before the 5:00 hour as well. You just couldn’t be too sure of anyone sticking around past 5 pm in these small towns. The real estate agent Deanna was so nice and rapidly fired off answers to my non-stop questions about the land in Arkansas. We reviewed everything from zoning, drilling of wells, costs per acre, and the potential difficulty in hiring a crew to show up to work. Springs and lakes were a dime a dozen around there, so that wasn’t an issue, but if we desired to develop closer to the main lake, it would double the price per acre. Frankly, the pricing was well below many other areas we had been looking at, whether we moved closer to the lake or not. Another benefit was if we wanted the national forests to back our land, as that was a potential option with the available land for sale. 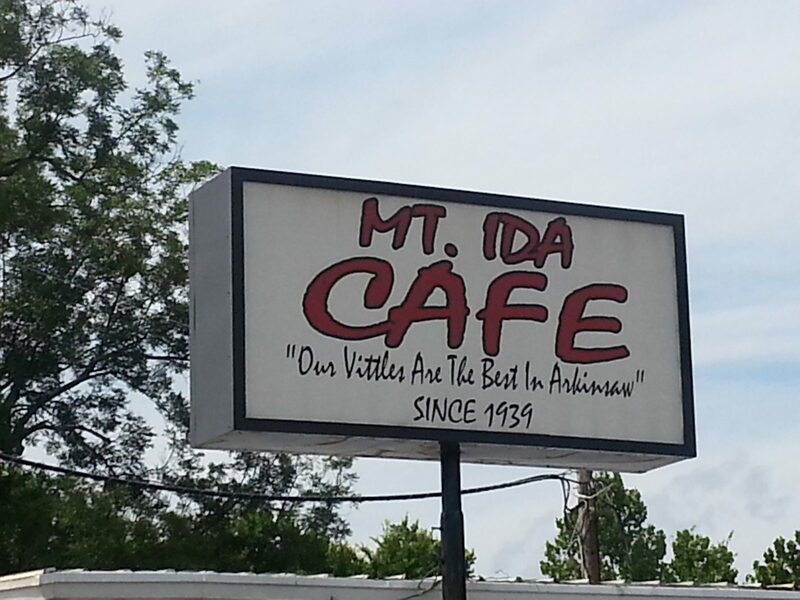 Honestly, neither of us had really spent any time in Arkansas prior to this trip, nor researched anything about this state, so to find out that this was ‘the Natural State’ and that Mt Ida is the quartz crystal capital of the world was a bit surprising to both of us. It was once again ANOTHER synchronicity since we had received several messages and visions that we would be raising the Atlantean Crystals etherically throughout this mission, in support of the ascension process. Years before, we were mentored by a Hermetic Master, who told us that we were going to do something major as he had never seen “two together.” He carefully crafted two “crystal keys” that we were to wear around our necks for an important future date. We were specifically told this mission was multi-layered and multi-dimensional. Our goal was threefold: to extract a lot of density from the planet and transmute it to Light, to “unlock” the Atlantean crystals with our own Twin Flame vibrational tone, and to bring forth the Atlantean ancient wisdom through the crystals for those who had eyes to see and ears to hear. Let me digress at this point. Steven, my husband, at this point is a highly gifted inventor and scientist in this lifetime. 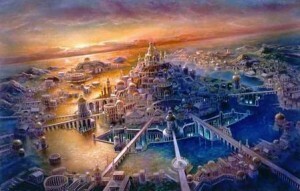 Over the last year, he became deluged with past life memories of his time in Atlantis. He remembered working with trays of different colored crystals, much like circuit boards. He would open up cabinets that he termed “control crystals” which he communicated with. He felt the presence of High Priests working in a main circular room while he oversaw the controlling of these crystals. Massive blue power crystals around 10’ tall x 3’ wide (above the ground) stood erect in the middle of various circular rooms in which he worked in. These large crystals were always surrounded by 2’ tall x 1’ wide red crystals around the periphery of the room. They would only reveal these colors when they were powered up. Steven saw the direction it was going at that time in Atlantis and felt that things were getting very dangerous with the forced manipulation of the crystals. He could see that it was getting to a point of no return where there would be no control of these crystals and because of this, he opted to leave before the damage was done. Today, this decision to flee has haunted him incessantly. He has held a deep valley of guilt and shame because he has felt he could have prevented The Atlantis Collapse from happening. So as you can see crystals are a repeating aspect of our lives, and we both find ourselves obsessed with them. After leaving Dee and Gee’s, we drove down the street to a local crystal shop, opened up the door and told Julie that we had a message for her. Once she heard who had sent us, she threw her arms around us and welcomed her galactic brother and sister home. While Steve excused himself to let the dogs out, I chatted with her about numerology, birth dates, crystals, apache crystals, and more….I just KNEW there was something we needed to exchange, but frankly I was tired and hunger motivated me to make arrangements to meet up with her another time, maybe even for the July 29th Star of David alignment. So we finally made it to the hotel, which was clean, quaint, and pet friendly. I was amazed at how every hotel had not charged us extra for having 4 dogs. Spirit had definitely watched over us. We talked to the locals and found out that there was a crystal mine for sale….hmmmmmm. The town was truly coaxing us. After a long day leading to another sleepy night, I passed out through the middle of a movie once again. Breakfast at Mt Ida’s “best vittles in town” wasn’t necessarily what it claimed to be, but we didn’t feel like we had time to search out any other options. It was to be another full day of clearings down through southern Arkansas and ultimately into Texarkana. We could not capture another night at the quaint hotel, so we figured we would knock out a prior commitment with my cousin who was driving up from Royce City, TX to meet us. We had decided to return to Dee and Gee’s with shoes and socks on and some cash in our pockets. What we thought would be an hour, ended up consuming 2.5 hours of our day, but it was well worth it!. 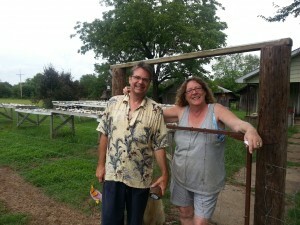 Dee had offered us some good cold local sweetened tea and we gratefully took her up on the offer. We stood in the drizzling rain once again, holding an umbrella in one hand and an accumulation of crystals in the other the other while we were there. It took us a while to finally realize that the rain always came the day after our activations. At one point, we heard one of the locals say that “this storm had lasted 5 days” and I began counting the number of days it had been since our first activation….that was about the right timing! At one point, Dee suggested we should come inside her crystal “shop.” We couldn’t believe there were even more of these in-demand beauties locked up somewhere else. We anxiously followed her over to the shop and saw some real gems. However, for me, with the number of crystals that we already possess, I was really just shopping for friends. I browsed through the boxes and displays mesmerized by the clarity and quality of these unique gems. They all seemed to be calling out to us…I was almost sad I could not take them with us. Just as I was getting ready to walk out, I took a double look at a crystal to my right, intrigued by its golden hue. About the size of the inside of my palm, I picked it up and immediately asked how much she would take for it. She just said, “oh, that is a very rare one, a golden healer that one is,” but nothing else. I was disappointed, sensing it was not for sale, or clearly way more than she thought I could afford to pay for it. If you’ve never heard of a golden healer crystal before, check out its description here. Now I am no expert on crystals, although I do use them a great deal with my alchemy and remedies. But with this crystal, it was like I could not part myself from “her.” There was just something incredibly yearning…something calling out to me. I kept it in hand until the time to pay for all of our other purchases, pleading with her to give me a price. She just told me again that is was a rare crystal, a gold healer, at which I stated I too was a healer and could use it in my practice. As it sat on the table, I was already mourning its separation from me and honestly, I couldn’t believe a crystal could have this sort of impact on me. Suddenly she turned to me and said, “I am just gonna gift it to ya’.” I was so excited I thanked her profusely, gave her a big kiss, and told her I would use it wisely….why I felt I had to explain myself was beyond me. Stay tuned for Part 10!